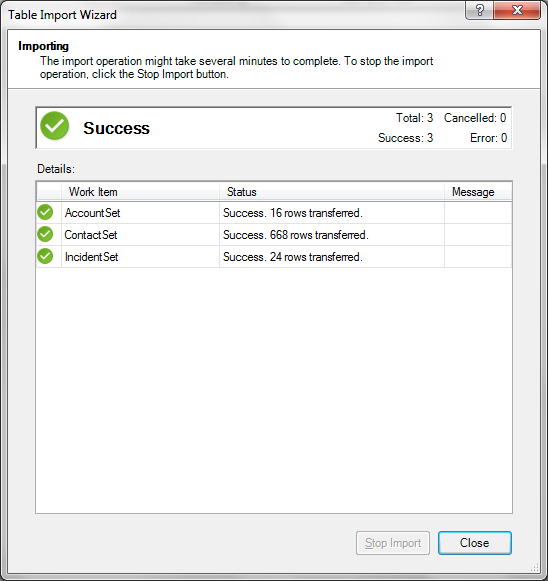 In a previous post I have described some general capabilities of PowerPivot in conjunction with Microsoft Dynamics CRM 2011. 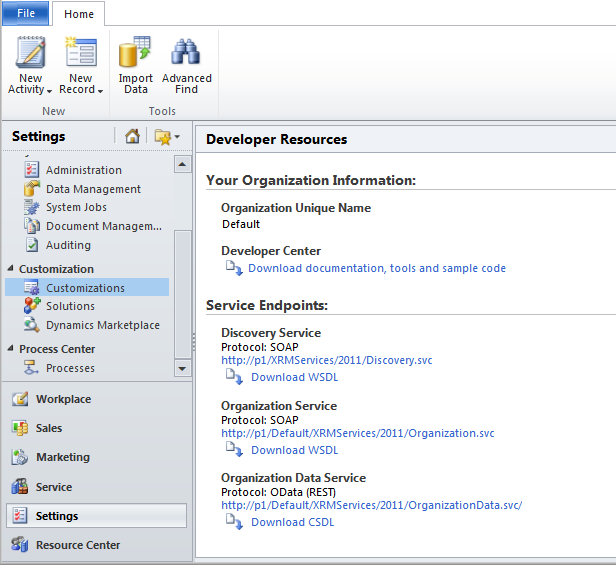 The next window displays all Microsoft Dynamics CRM 2011 business entities exposed by the OrganizationData end point. You can select required tables, set a friendly name for them and also set the required columns from each table by clicking the ‘Preview & Filter’ button. When done, click he ‘Finish’ button. 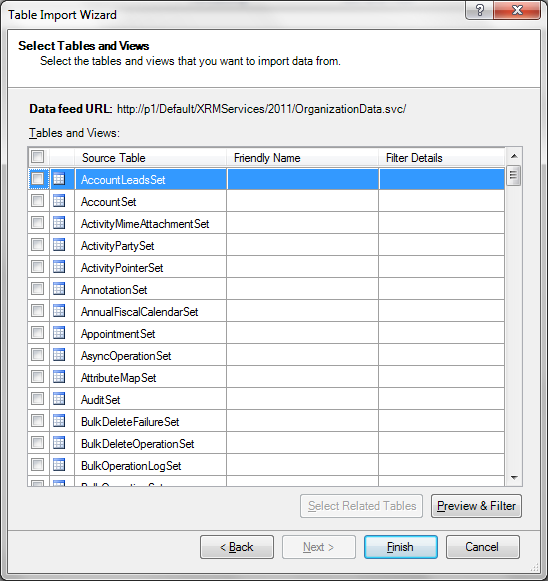 For the my next examples, I have selected 3 tables: AccountSet, ContactSet and IncidentSet. You are done! 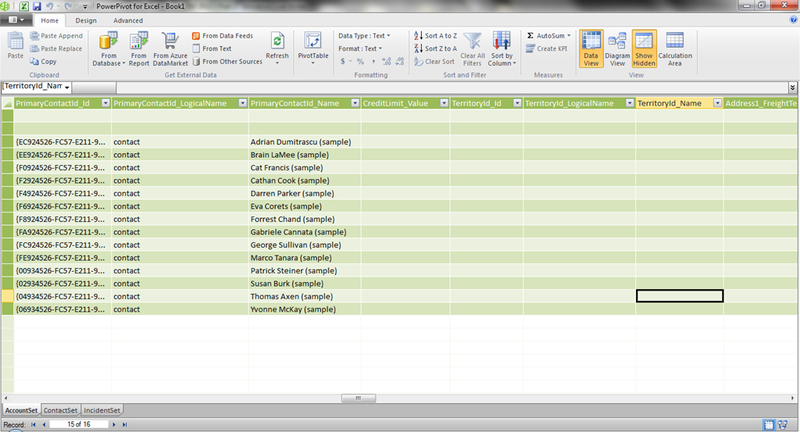 The data is now contained in the Excel file, and after you save it, it will remain there. 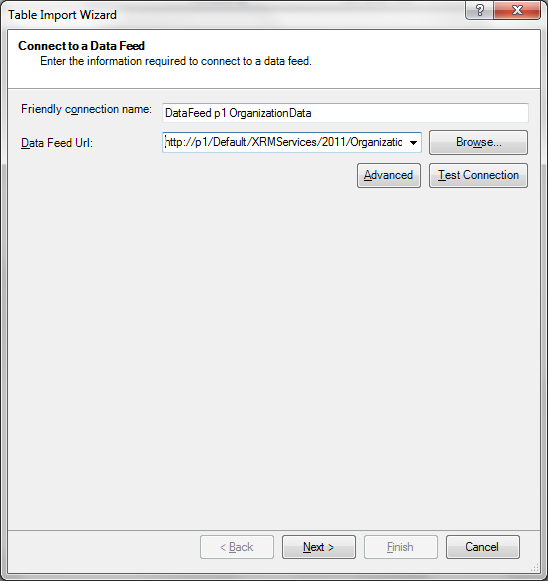 If you click the ‘Refresh’ button in the ‘Get External Data’ group, the PowerPivot will refresh the data from Microsoft Dynamics CRM 2011 OrganizationData end point. 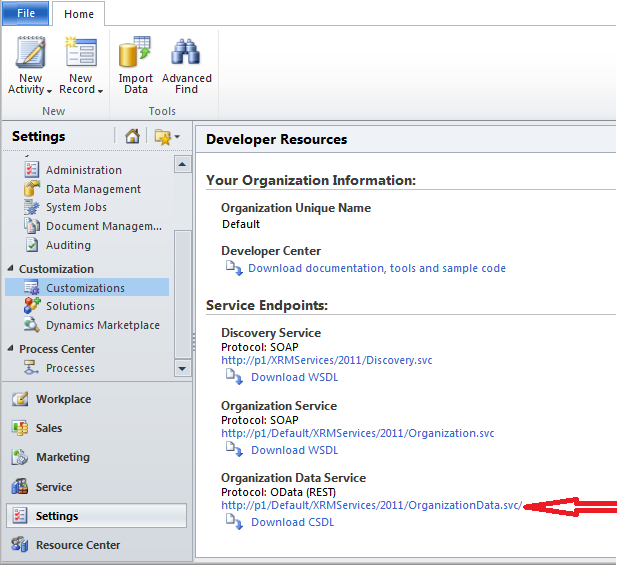 In the next post, I’ll demonstrate some useful PowerPivot tools and how they help solve various MSCRM2011 problems.